People with depression may experience significant improvements in their quality of life through nerve stimulation, even if their depression symptoms don’t dissipate completely. That’s the conclusion reached by researchers at Washington University School of Medicine in Missouri. Their findings were announced online last month in The Journal of Clinical Psychiatry, published by the American Society of Clinical Psychopharmacology. The team, led by principal investigator Dr. Charles R. Conway, a Washington University professor of psychiatry and director of the Treatment Resistant Depression and Neurostimulation Clinic, conducted a national study with nearly 600 patients. The subjects all had depression that couldn’t be alleviated by four or more antidepressants, taken separately or in combination. Conway and his team evaluated vagus nerve stimulators, devices similar to a pacemaker that sends mild, regular pulses of electrical energy to the brain via the vagus nerve. The vagus, the longest cranial nerve, runs from your brain through your neck and into your chest and abdomen. The Food and Drug Administration (FDA) approved vagus nerve stimulation (VNS) for treatment-resistant depression (TRD) in 2005. When it was first approved, a number of scientists expressed concerns about the efficacy of the treatment. Since then, further research and improvements in treatment have made vagus nerve stimulation more acceptable in the scientific community. Recently, however, psychiatrists have recognized that evaluating only an antidepressant response to stimulation doesn’t adequately assess quality of life — which was the purpose of this latest study. According to Conway’s study, as many as two-thirds of the 14 million people in the United States with clinical depression receive no relief from their first prescribed antidepressant. Up to one-third don’t respond to subsequent treatment with other similar drugs. The results for patients who received VNS were compared with those of others who received what the study referred to as “treatment as usual.” That could include antidepressant drugs, psychotherapy, transcranial magnetic stimulation, electroconvulsive therapy, or some combination. The study followed 328 patients, two-thirds of them women. 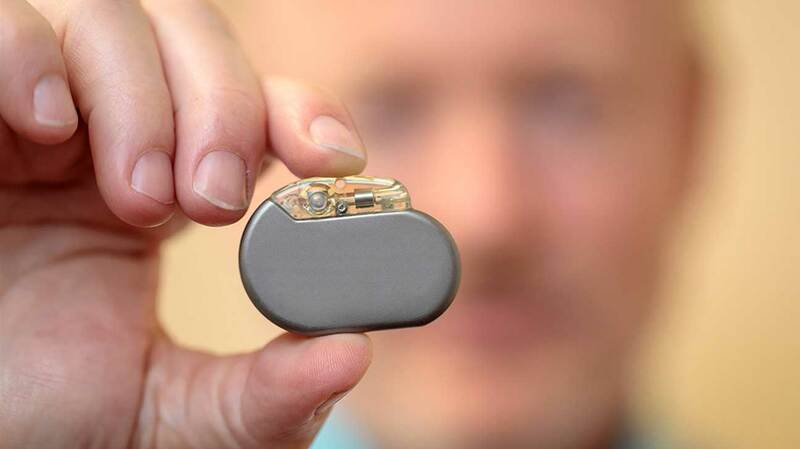 Many participants had already used an antidepressant and had vagus nerve stimulators implanted. The team compared that group’s results with those of 271 similar patients who received only treatment as usual. Conway and his colleagues evaluated 14 categories of quality-of-life factors, including physical health, family relationships, ability to work, and overall well-being. Vagus nerve stimulators received FDA approval in 1997 for epilepsy treatment. When researchers tested the therapy on those with epilepsy, they observed that some people who also had depression experienced fairly rapid improvements in their depression symptoms. Conway began his VNS research in 2003. His initial work was with the pivotal study that led to FDA approval of the stimulator device for TRD, he said. The results were published in 2005. His involvement in many subsequent studies include collaborations with Dr. Scott Aaronson, director of clinical research at Sheppard Pratt Health System in Baltimore and clinical associate professor of psychiatry at the University of Maryland School of Medicine. Aaronson and Conway worked together on the two recent studies, including the latest research findings announced in August. They also worked together on Aaronson’s study of nearly 800 patients who received VNS treatment for depression — published in 2017 in the American Journal of Psychiatry. Parts of that dataset from the 2017 study were used in the just-announced findings. Aaronson has been involved with the development of VNS for severe TRD since 2003 when he was asked to take over the cohort of patients implanted with VNS who were enrolled in the original randomized trial of VNS for depression at the University of Maryland. “Given that worldwide only about 4,000 patients have received VNS for TRD, versus about 50,000 patients who have gotten it for treatment of refractory epilepsy, the 52 patients seen at the Sheppard Pratt Health System represent a significant number,” he added. While not every patient benefits, the experience that the investigators have had is that most do, sometimes in subtle ways, Aaronson said. When he and his colleagues analyzed the quality-of-life measure in implanted patients versus similar patients, they found that for the same drop in a depression rating, the VNS patients gained a greater improvement in their overall quality of life. However, Kopell told Healthline, the data coming out of VNS research, such as the Aaronson and Conway studies, has demonstrated VNS can be useful for patients with TRD. Kopell said there hasn’t been a serious improvement in pharmaceutical treatment for depression in the past four decades. Neuromodulation, electronic stimulation of the brain, has been around since the 1940s and reached its heyday in the late 1980s and early 1990s, he said. In October 2017, LivaNova, a Houston-based company that manufactures VNS devices, made a formal request that the CMS reconsider its “national coverage determination” for VNS treatment of resistant depression. In June, CMS officials announced that they may reverse their long-standing policy of not covering VNS for TRD. Kopell said that after 20-plus years of working with VNS, he and his colleagues know the stimulation device is safe. “Overturning the CMS decision so others can have access to this treatment will only help us learn how to do the procedure better, design better devices, and which patients to pick,” he said. “Other forms of brain stimulation, such as transcranial magnetic stimulation, and deep brain stimulation, which is another surgical therapy that’s changed the way we treat movement disorders in this country, could be brought to bear on how we treat depression,” he added. Kopell said all this research is a “huge opportunity” to learn about what these devices can do for the brain. “The brain is an electrical organ like the heart,” he said. “Even though we can use drugs to treat the brain like we treat the heart, the most profound therapy is one that interacts with the electricity of the organ. The pacemaker for the heart does the same thing. Conway also hopes to see the reversal of the current CMS non-coverage policy.